As Olive Yang's departure from the worldly existence, at the age of 90, news makes the round, my thoughts and memories, in somewhat similar to a sort of nostalgia swept over, for there were past I share in common, like my alma mater Guardian Angle's Convent, in northern Shan State Lashio, where she also went to school. And together with it, a flashback of many family members of “Yang” and also “Lo or Law” from Kokang that were my schoolmates and classmates, including the sons of Hsenwi and Tawngpeng Saohpas (hereditary rulers), who were my contemporaries. Besides, I could still recall several encounters and conversations with Olive Yang's elder brother Jimmy Yang, known as Sao Ladd in Shan and in Chinese Yang Kyein Sein, in Chiang Mai Thailand, in the early 1970s, when he was the general manager in Rincome Hotel, one of the two first class hotel in town during that time. The other one was Suriwongse Hotel, apart from the existence of a bit lower grade Prince Hotel, an American GI's frequented one watering hole, especially for those on leaves from the then ongoing war in Vietnam. As my intention is to weave a convincing portrait of the deceased in an objective manner with what I could find from the secondary sources, I tried to recall my childhood memories, pouring through the books and documents that I have in my collection and, of course, by surfing the internet, in an attempt to do justice to the legendary woman from Kokang that has been the talk of the town for decades. In many of the short description on her character traits, two categorization of behavior came up as the main characteristic of Olive Yang. One is opium trafficking laced with warlordism and the other, lesbianism. While no one would think of arguing against the said well-documented character traits, another facet that her involvement in the building of Kokang fighting force to a new capable height and its follow up events also need to be emphasized. In addition, as she is still being seen as a good-doer, at least in the eyes of the many Kokangnese that are loyal to her and the Yang clan former rulers, this facet should be also explored. But first let us look at the well known part of her life that had been narrated, if not shedding new findings, just to keep the record of history straight. Olive Yang, also known as Yang Lyin Hsui, was born in June 24, 1927 and went to Guardian Angel's Convent in Lashio for her education. By the time she was 19 she was already commanding an army of Kokang forces numbering some 1000, nicknamed the Olive's Boys, when she teamed up with the Kuomintang that was expulsed from mainland China in the 1950s, following the defeat of the Nationalist. Together they established opium trade routes along the golden triangle that meets Thailand, Laos and Burma to become the world’s most productive opium growing region, according to Alfred McCoy’s 1972 book, “The Politics of Heroin”. ·From 1948 to 1950, she was married to Twan Sao Wen, the son of Tamaing's chieftain, and had a son, Duan Jipu. ·From early 1950s to the mid-1960s she ran the Kokang Ka Kwe Yay (home guard outfit approved by the government) and was said to be a dynamic and forceful character, according to the late Chao Tzang Yawnghwe, a noted Shan resistance leader and scholar in his “The Shan of Burma – Memoirs of a Shan Exile”. ·She was arrested by the Burmese authorities, along with her brother Edward Yang (Saohpa of Kokang) in mid-1960s according to Chao Tzang Yawnghwe and was released in 1968. ·In 1989, she was recruited by Khin Nyunt to help broker ceasefires in Burma with ethnic rebel groups. ·She passed away on July 13, 2017 at the age of 90, in Muse Township, Shan State. Regarding her romance and love life who professed to practice lesbian life style, “Her affairs and marriages to popular songstresses, starlets, and even an established film stars, Wah Wah Win Shwe, entertained the reading public,” wrote Chao Tzang Yawnghwe in his book, under the section of “Who's Who in Shan Politics”. Regardless of her lesbian life style that was criticized and many found it highly entertaining, there were positive attitude on her and her undertakings that have to be taken into account. “second daughter of the Yang family,” according to the recent Irrawaddy report. to the local economy and education. In 1989, she played a role in negotiating the ceasefire agreements between Burma’s military government and the Communist Party of Burma (CPB), together with Lo Hsing-han who used to be her follower. The then mutineer against the CPB from the Kokang faction was Peng Jiasheng, also her one time student and admirer. This brings us to the point to see what kind of impact the political legacy of empowering the Kokang military capability that Olive Yang has left for contemporary political arena to be played out and future prospect for the next generation to come. During the time span of nearly seven decades, from 1950 to this very days, the Kokang military force was involved in many form of cooperation with various political organizations, such as being part of the covert plan, dubbed Operation Paper, devised as an early Cold War strategy against communism, which was approved by US President Truman in 1950, in collaboration with the Kuomintang; Shan revolution; U Nu's Parliamentary Democracy Party (PDP) movement aimed to overthrow the then General Ne Win's military government; Communist Party of Burma (CPB); and the ongoing conflict between Peng Jiasheng's Myanmar National Democratic Alliance Army (MNDAA) and Burmese government-backed Bai Xuoqian. Olive Yang's political legacy is evolving and in the making. The Tatmadaw or Military-backed faction and Peng Jiasheng's MNDAA is still in a deadlock power struggle, which could actually be seen as a direct conflict between the Tatmadaw and MNDAA. 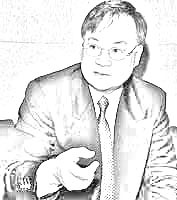 From the Tatmadaw's point of view Peng Jiasheng has been infringing on national sovereignty, as the government installed Kokang Self-administration is legal, while Peng Jiasheng takes it to be justified to wrestle back his rightful place which the government has robbed him of, sided with his rival and chased him out in 2009. The MNDAA, which is now part of the seven-party Federal Political Negotiation and Consultative Committee (FPNCC) also known as Panghsang alliance, poised to negotiate for the political settlement with the government, apart from being a member of Northern Alliance – Burma (NA-B) that is actively taking part in the armed conflict with the Tatmadaw which is still ongoing, has been subject to the Tatmadaw's exclusion in the peace process. Under such condition, we could only consider that the political legacy left by Olive Yang, to uphold Kokang's rights of self-determination and self-defense, is still very much alive and hard to imagine, if such accepted value and ideology aspirations among the Kokangnese would fade away anytime soon.